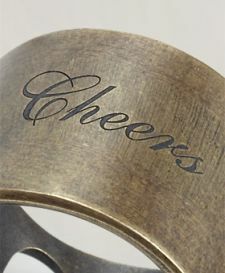 grabbing the brass ring has a different meaning now, with this engraved piece from avant belgian designer maison martin margiela. look at the discreet bottle opener on the bottom, for impromptu and emergency openings. 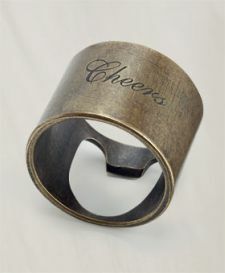 this is clever and functional too and i love the texture of the material and and warmth of the aged looking metal.